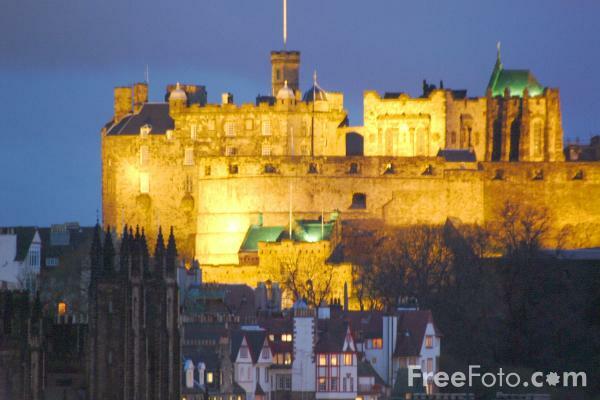 Photograph of Edinburgh Castle which dominates Edinburgh's skyline with views across the World Heritage listed Old and New Towns, and out to the Firth of Forth. As a Royal Castle it has been a residence of Scotland's Kings and Queens. Every occupant modified or added to the original structure, so that today it is a rich architectural mixture of palace, fortress, barracks, chapel and war memorial. VIEW: More images from the category Edinburgh Castle or around the same time .